High Fructose Corn Syrup are in many processed foods, juices and can sodas and should be eliminated if you are looking to increase your overall health and well being. Be very cautious when purchasing food items that may contain High Fructose Corn Syrup. The way you know if this is in your food is by reading through the ingredients on the back of the food label. In my experience I have overlooked reading it on the label because it is not easily identified while reading the ingedients so read very carefully. Below are some of the many dangers of High Fructose Corn Syrup. The list of studies that show HFCS to cause increased weight gain over other forms of sweeteners is much to long to put into this post. One of the better, and more recent ones, was conducted at Princeton University, and found that rats that were fed HFCS gained fat 300% more quickly than those fed an equal (or slightly larger) dose of fruit-derived sugar. Over the years, consumption of high-fructose corn syrup can lead to a huge increase in the likelihood of developing diabetes. The worst part about it is how easily this life-long condition can be avoided in most cases. Excessive amounts ofsoda, energy drinks and junk-foodsimply aren’t worth losing a foot or going blind or harming your children. High-fructose doesn’t just make your body fat. It makes your heart fat too. There is a strong link between the irresponsible consumption of high fructose corn syrup and elevated triglyceride and HDL (bad cholesterol) levels. Together these can cause arterial plague build-up and eventually lead to dangerous heart conditions including hypertension, heart disease, and even stroke. This is a big one that a lot people overlook. Like anything else you eat or drink, HFCS is processed by your liver, gallbladder and kidneys. And it’s especially destructive to your liver. When combined with a sedentary lifestyle, permanent liver scarring can occur. This greatly diminishes the organ’s ability to process out toxins and, over time, can lead to an expansive range of other negative health concerns. Another study suggests that HFCS may also cause fatty liver. Even if you were already aware of previously mentioned risks associated with corn syrup, there’s a good chance that you didn’t know it also often loaded with alarmingly high levels of mercury. In a study conducted just last year they found mercury in over 50 percent of the samples tested. Mercury exposure can result in irreversible brain and nervous system damage – especially in young, growing bodies. This is especially worrisome with the abundance of HFCS in children-target foodstuffs. The dangers of high fructose corn syrup are both numerous and severe. Some estimate the more than one-third of the American food supply has been polluted by it. If you’re looking to cut back on your exposure to corn-sugar, I urge you to start really reading product labels if you don’t already. As an alternative, I would recommend splenda, stevia or raw local honey as a sweetener. Spinach is considered a miracle food in most cultures, and we all know of the famous cartoon character “popeye” who always made sure he had his spinach for the day to maintain strong muscles and bones. Here are a load of great benefits of spinanch and the positive effects that it has on your overall health. Good Eyesight: Spinach is a rich source of beta carotene, lutein and xanthene, all of which are beneficial for eyesight. Beta carotene is supplied to the eyes by cooked spinach. It can prevent one from vitamin Adeficiency disease, itching eyes, eye ulcers and dry eyes. Blood Pressure: Spinach has high content of potassium and low content of sodium. This composition ofminerals is very beneficial for high blood pressure patients as potassium lowers and sodium raises the blood pressure. Folate present in spinach contributes in reducing hypertension and relaxes blood vessels, maintaining proper blood flow. Atherosclerosis and Heart Attack: Atherosclerosis is caused due to hardening of arteries. A pigment named lutein found in spinach has been shown to reduce the occurrence atherosclerosis, heart attack as well as stroke. This is due to the fact that spinach proteins tend to reduce the cholesterol and other fat deposits in the blood vessels. Neurological Benefits: Several components of spinach like potassium, folate, and various antioxidants are known to provide neurological benefits. According to Neurology, folate which reduces due to occurrence ofAlzheimer‘s disease can be revived by spinach. Bone Mineralization: Spinach is a good source of Viatmin K, which functions in retaining calcium in the bone matrix thereby leading to bone mineralization. Apart from this, other minerals like manganese, copper,magnesium, zinc and phosphorus also help in building up of strong bones. This in turn can prevent an individual from osteoporosis of bones. Skin Protection: Different phytonutrients and pigments have been shown to protect the skin from harmful rays of sun including the UV rays. These not only protect but also repair the damaged genes to some extent thereby preventing skin cancer in long run. Foetus Development: Folate found in spinach is needed by the growing foetus for proper development of new nervous system. Defects like cleft palate or spina bifida may occur due to deficiency of folate. 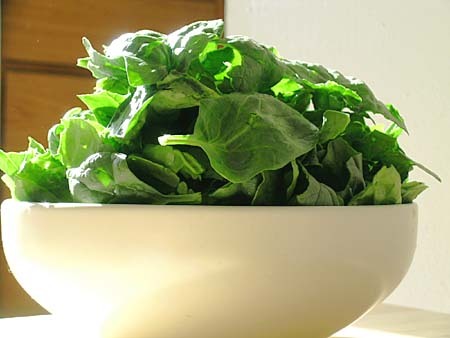 Vitamin A offered by spinach is advised to be consumed in more quantities by the mother. Vitamin A is required in lung development of foetus as well as during breast feeding. Packed with antioxidant phytonutrients called anthocyanidins, blueberries neutralize free radical damage to the collagen matrix of cells and tissues that can lead to cataracts, glaucoma, varicose veins, hemorrhoids, peptic ulcers, heart disease and cancer. Anthocyanins, the blue-red pigments found in blueberries, improve the integrity of support structures in the veins and entire vascular system. Anthocyanins have been shown to enhance the effects of vitamin C, improve capillary integrity, and stabilize the collagen matrix (the ground substance of all body tissues). 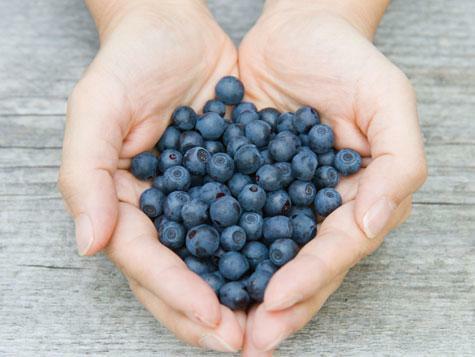 In laboratory animal studies, researchers have found that blueberries help protect the brain from oxidative stress and may reduce the effects of age-related conditions such as Alzheimer’s disease or dementia. Researchers found that diets rich in blueberries significantly improved both the learning capacity and motor skills of aging animals, making them mentally equivalent to much younger ones. Researchers fed rats bred to become obese either a high-fat or low-fat diet enriched with whole blueberry powder or carbohydrates as 2% of their total diet. After 90 days, the rats fed blueberries had less abdominal fat, lower cholesterol, and improved glucose control and insulin sensitivity. 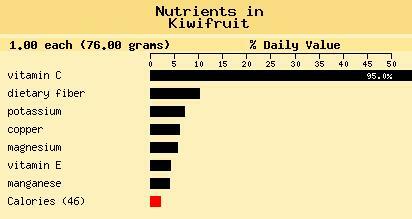 Kiwi is known as a major fat burning fruit and is packed with more vitamin C than an equivalent amount of orange. 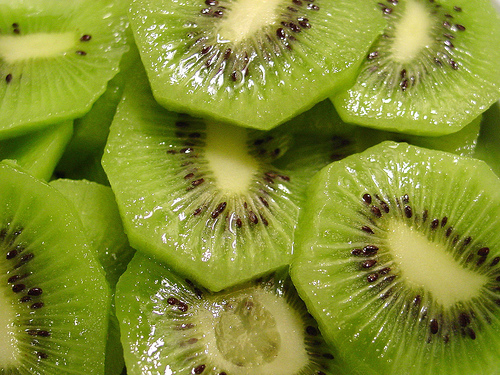 Kiwi also provide premier antioxidant protection riding your body of free radicals, contains a ton of fiber to help control blood sugar levels, cardiovascular and colon health. Eating vitamin C-rich fruit such as kiwi may confer a significant protective effect against respiratory symptoms associated with asthma such as wheezing. Just because you are eating healthy doesn’t mean you cant eat out at a nice restaurant, go to a party with friends, or attend a celebration. When we attend parties or celebrations we are having so much fun and enjoying the time that we forget how much we are actually eating. The key trick is to select the foods that are still healthy for you and control your portion amounts. You are still able to enjoy the chicken wings as they are packed with protein and contains no sugar or carbohydrates. You can go for the diet soda or juice for your beverage as they contain very minimum calories. And remember to keep the alcohol intake to a bare minimum if necessary. So go out and have your fun and enjoy yourself and keep in mind that portion control is keen. -Start by keeping track of your food choices and eating habits. Make notes throughout the day of what you ear or drink, along with how much of it, and why. Do you eat when you are bored? Do you eat when you are stressed? Making notes will help your recognize certain eating habits that you might want to change. Plans: Make a sandwich with turkey, cheese, mustard and add extra veggies on the sandwich. -Dont rush it: Being patient with seeing results from your plan is really important. Lifestyle changes take time if done in a healthy manner. Yes, it is easy for us to gain weight or to make ourselves unhealthy but it takes hard work and time to reverse that cycle. The organs in our bodies needs to re-adjust from all of the years and months it took to get our bodies a certain way, therefore it takes gradual time to see the results from you plan. -Keep track of your progress- If for some reason you get off track due to a birthday party or going out for drinks with friends; simply pick up were you left off. Theres is no need to fill guilty for cheating or breaking the plan; the most important part is that you get back on it. Also; rewarding yourself will help you reach your goal quicker and help you to stay focused. Treating yourself to a night on the town, or a football game is great way of rewarding yourself for making your goal. Finally, re-evaluate your plan every-other week. If for some reason your weight loss has stalled or your blood pressure has not decreased enough. You may need to change up your plan a little to maybe adding more vegetables or increasing the amount of time yo are exercising each day. 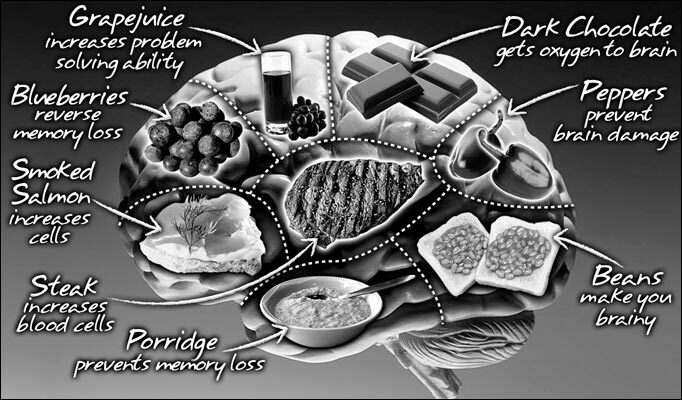 Keep in mind that its not all about what you eat but how much of it your are eating!! Thank you Nikki! You do the same! High fructose corn syrup is lurking everywhere! Can’t stand when it appears hidden in the ingredients for “healthy” foods like 100% whole wheat bread. Makes me crazy. Glad I’m not the only one who tries to avoid it. Something really cool I found out about a month ago if concerned with sugar levels or calories of fruits and vegetables. Publix has a little booklet (usually a binder) in the fresh foods section that gives the nutritional breakdown of all the fruits and vegetables they sell! Good exposition on HFCS. I can’t stand its prevalence in common food items. We do our best to avoid any sweeteners in our home, however blue agave nectar or sucanat is used when we have the absolute, rare need. The mercury issue is news to me. Thanks for pointing that out. Also, HFCS and other sweet substances by-pass the digestive system and are processed by burdening the liver directly which metabolises it in the sort of fat that’s more difficult to shift; this is fine if you’re a duck fattened for fois gras, not so fine for humans. What’s more, HFCS and the like also suppress the production of leptin – a hormone that helps signal satiety to the brain; consequently, diets high in HFCS and like substances make us insatiable and fatter. Check out Lustig’s hour long presentation on sugars; a real eye-opener! Yeah, great video by Lustig. Really exposes the truth about sugar. Unfortunately, many of us don’t want to accept the paradigm shift that sugar is really horrible for us. I agree. We choose to ignore the facts and do what makes us feel happy or eat what taste good for a short period of time. I’ve had my fair amount of sugar and it did my body harm. There is nothing nutritious about refined sugar. Thank you for the reply. Im glad you enjoyed the video as much as I did. Thanks for stopping by and liking my page! Glad to see a post on HFCS. I banned it in my house years ago and have never felt better. Also, I found it interesting the spinach has been known to help with ulcers. Years ago I had horrible ulcers due to stress and lifestyle choices (the reason I stopped soda and smoking). I haven’t had an ulcer for years and I eat spinach all the time now. I’m sure stopping the bad habits helped but I didn’t realize my new found love for spinach could be helping as well! I had a similar post on the dangers of high fructose corn syrup on my previous (since deleted ) blog, veganfit. This issue cant be stressed enough. HFCS is everywhere.